On The Go is a new feature which tests Remedy products while travelling in a bitesize article; testing products perfect for your commute to work, going on holiday or returning home for Christmas. This could be a mobile game or book, anything small enough to be part of a journey. Today we're looking at the novel, Quantum Break: Zero State written by Australian author, Cam Rogers. Quantum Break: Zero State was written by Remedy writer Cam Rogers, and released to coincide with the launch of the game on April 5th 2016. The studio teamed up with Tor Books, the publisher for the Alan Wake novelisation to bring the novel to life, who published it in hardback, paperback and as a Kindle ebook. While the book shares that same publisher as the Alan Wake novel, it's not a direct novelisation like its predecessor, with Cam taking alternative routes and exploring a Riverport and a Monarch different from the game's. The decision to go in a different direction was discussed in the book's foreword by Remedy's Creative Director, Sam Lake, who described it as a new "junction moment" take on the events. Excluding the prologue, the start of the novel closely mirrors the start of the game with Jack meeting his childhood friend Paul Serene to test Project Promenade. The experiment suffers a malfunction, breaking time, throwing out Chronon Radiation; bestowing time powers to both Jack and Paul As Monarch troops storm the premises, Jack and Will escapes while Paul finds himself trapped in the machine with no choice but to travel back in time. While the overall struggle to restore time is at the heart of the adventure, the path to getting there is very different than from the game. Cam uses older concepts from Quantum Break's development to expand on the characters we know and love; some of those concepts were originally rejected as they were too expensive to create or too time consuming. In the book, Cam explores Beth's childhood and her journey back in time, he takes a closer look at the Shifters and Paul's fear of them, and he travels to the End of Time and sees how Paul and Beth survived during their stay. 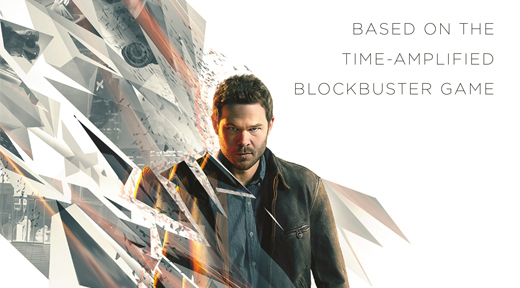 Whether you've played Quantum Break or not, the book is a brand new experience. If you have played the game, it will expand on some of the characters' backstories and new experiences only previously talked about. If you haven't played the game, it does touch on several main plot points but also takes a very different turn than the game, especially at the end. The book is available in hardback, paperback and as a Kindle ebook. The ebook tends to be a fair and constant price (around £4 on Amazon UK and $5 on Amazon US), with the paperback being another affordable alternative. The hardback is a little harder to get as it looked to be a limited run near the start. If you enjoyed the game or can't play it, make sure to pick it up. It's a great read and Cam has such a fantastic and gripping writing style. Admittedly I am rather biased towards this book as it was the turning point of buying myself a Kindle. For me, getting a Kindle felt like a big investment and I've always loved having a physical book to read, but I found myself wanting to continue to read Zero State after I got ready for bed and after I'd had turned the light off. After I got a Kindle, I began reading a lot more than I had in previous years; I had a run of terrible English Literature teachers which extended into further education and for a while after I liked books but I didn't read that many. In a way Zero State kickstarted my love for them. So if you like Quantum Break, and you like reading and would like to do more, definitely check this out! You can actually read the prologue for free online and right now on the Tor website!